470 helm Gil Cohen of Israel was seriously injured in a car accident whilst riding her bike in October last year. After a long period of recovery and recuperation Gil is now back on track to focus on her goal of qualifying to the 2016 Olympic Games in Rio, Brazil. Cohen underwent surgery and intensive recuperation. Her successful recovery was certainly driven by her goal of making it to Rio. "I feel great to come back and sail," said Cohen. "I return with new energy and highly motivated to succeed: accident behind me, and I'm looking forward hopefully we get to Rio. I think that after such a difficult period comes to me I had a chance to realize my dream." 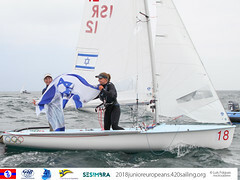 Cohen competed at the London 2012 Olympic Games with Vered Buskila, and has now partnered up with Danielle Maman, who has most recently been campaigning a Laser Radial. But the 470 is not a new steed for Maman, as before switching to the Laser Radial in 2014, she enjoyed success with with top results on the ISAF Sailing World Cup circuit and with then helm Noya Bar-Am secured a 4th at the 2013 470 Junior Europeans. 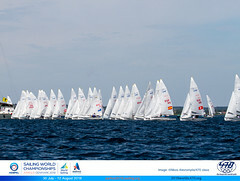 Cohen and Maman last sailed together at the 2013 ISAF Sailing World Cup Palma, finishing 10th overall. The new Cohen/Maman partnership should prove a formidable talent. 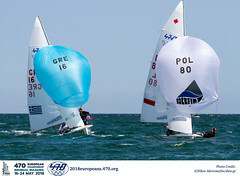 They will be looking to secure Israel's slot in the Rio 2016 line-up at this year's 470 World Championships on home waters in Haifa, Israel. Just three nation slots in the 470 women are on offer, and they are intent on securing their ticket to the Olympics. "Our goal is clear," the pair said, "to focus on achieving international criterion. It will not be easy. We expect a very tough competition in front of floaters in the world, but we will do everything to succeed and ensure the State of Israel 470 model representation of women in Rio".